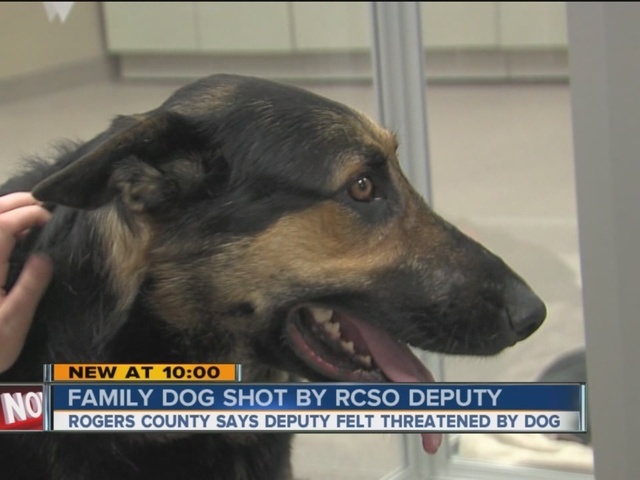 ROGERS COUNTY, Okla. - An Owasso mother said her children came home from church to find their family dog bleeding from a gunshot wound on their front porch Wednesday night. A note from the Rogers County Sheriff's Office was attached to the door. Bruno is being treated at an animal hospital. Laymon said so many people have already come forward wanting to help with Bruno's expenses and to help save his leg.